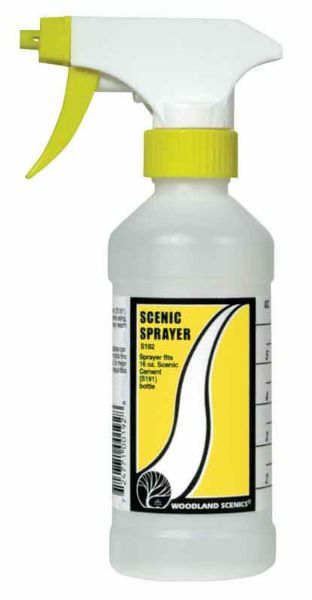 The Scenic Sprayer comes with a siphon tube and spray head that fits the Scenic Cement bottle. * The nozzle adjusts from a fine mist to a steady stream. * Measurement markings in ounces and millimeters are on the side. * Use for Scenic Cement Earth Colors Liquid Pigments and other liquids. 7.25" x 3.5" x 2.25"